One of the most magical things to do in Venice is simply wander around the cobbled streets, passing murky canals, gorgeous restaurants, quaint shops, and the daily bustle of life. However, it’s always useful to have a few things written down so that you can make the most of your time in a place that the New York Times once described it “the most beautiful city built by man”. While you’ll be tempted to try and squeeze in everything that Venice has to offer, bear in mind that you’ll have to be selective in what you do. 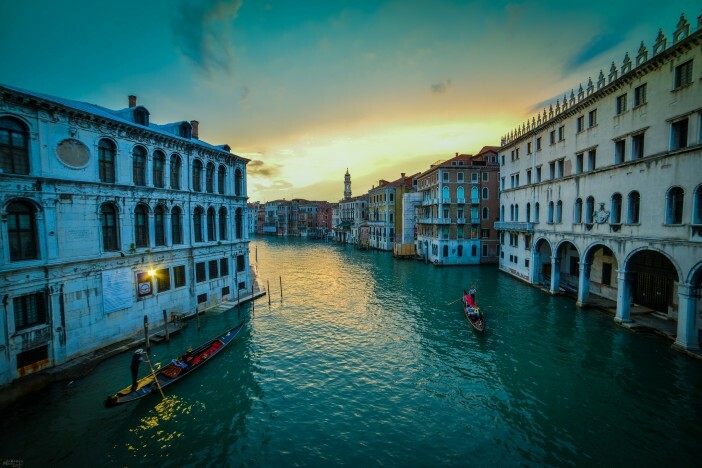 Venice truly is a jewel in the Adriatic, and as it’s a treasure chest of sights and attractions, you’re inevitably going to have to give some of it a miss. Undoubtedly one of the most famous squares in the world – and for good reason – St Mark’s square in the heart of the city is an ideal spot to do an hour or two of people-watching, complete with a fine glass of wine or a whole manner of magnificent Italian culinary treats. Described as the “finest dining room of Europe” by Napoleon, the restaurants and cafes lining St. Mark’s square surely offer one of the most breathtaking views anywhere in the world. The sight of the awe-inspiring 900 year old Basilica di San Marco, a symbol of the merging of Romanesque and Byzantine architecture, would be difficult to beat regardless of where you travel. Get there before mid-morning to indulge in the square’s magnificence before the crowds set in. Being the most important and famous thoroughfare in Venice, no trip to this city would be complete without wandering down the 4 kilometres of boutique hotels, restaurants, museums and over 200 palazzi (palaces) which were constructed between the 12th and 18th centuries. Whilst it’s a truly fantastic experience to explore Venice’s seemingly endless canals by foot and crossing over the quaint bridges and down cobbled alleyways, undoubtedly the best way to see these picturesque waterways is by taking a gondola ride. Admittedly this activity isn’t cheap, costing anywhere between €40-€100 per person for a 40 minute journey, but how many times are you going to have the opportunity to ride an iconic gondola in one of the most romantic and beautiful cities on the planet? For those who decide that the City of Water needs at least a couple of days and nights, perhaps you can spend a whole day dawdling between the incredible array of art museums on show? Venice is a magical art repository, with pieces on display from the late middle ages until towards the beginning of the 19th century. Did you know that there’s going to be a new megaport in Venice? Take a look at our full list of cruise holidays around the Mediterranean.